This leaves me skeptical. I remember last time a major chain (COUGH QUIZNOS COUGH) promised free food, after a few hours the NYC stores revolted and stopped honoring the promotion. Anyway, KFC has a flashy site promoting today's free grilled chicken morsel, but I'm annoyed there's no apparent link showing me (and you) what stores are genuinely participating. If you're curious enough, Onward Chicken Soldiers! P.S. The PR side of me is curious about the KFC "Unthink" campaign. 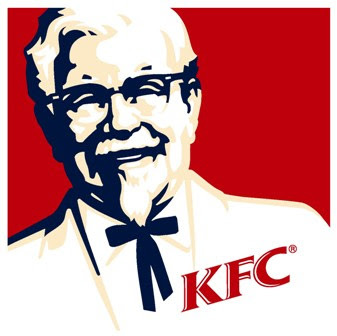 Will Kentucky Fried Chicken (KFC) soon become Kentucky Chicken (KC)?